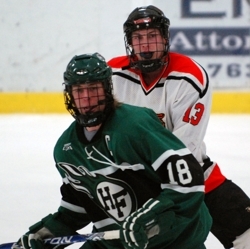 By modern standards, their jerseys were not particularly attractive. By any standards, their haircuts were fashion disasters. 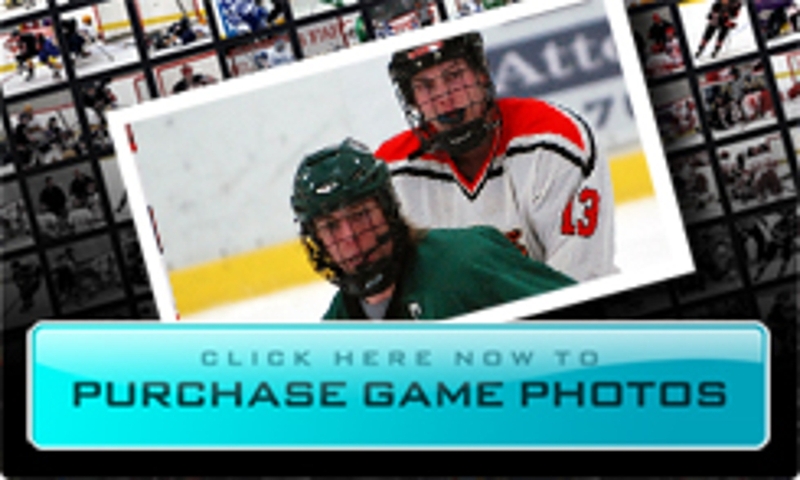 They play in an arena that is so cold you half expect to see sides of beef hanging from the building’s steel rafters. Their conference is more overlooked than a supermodel’s pedicure. Despite all that, or maybe because of it, Delano/Rockford is leading the state in fun. 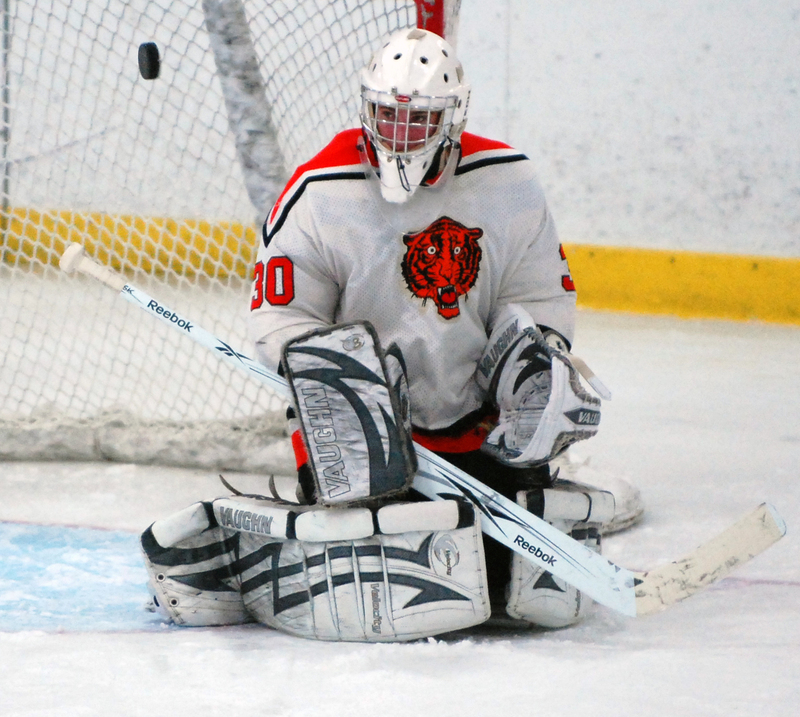 The Tigers threw their best party of the season on Tuesday, Feb. 9, when they celebrated Senior Night at the Delano Area Sports Arena with a 4-1 Wright County Conference victory over Holy Family Catholic. 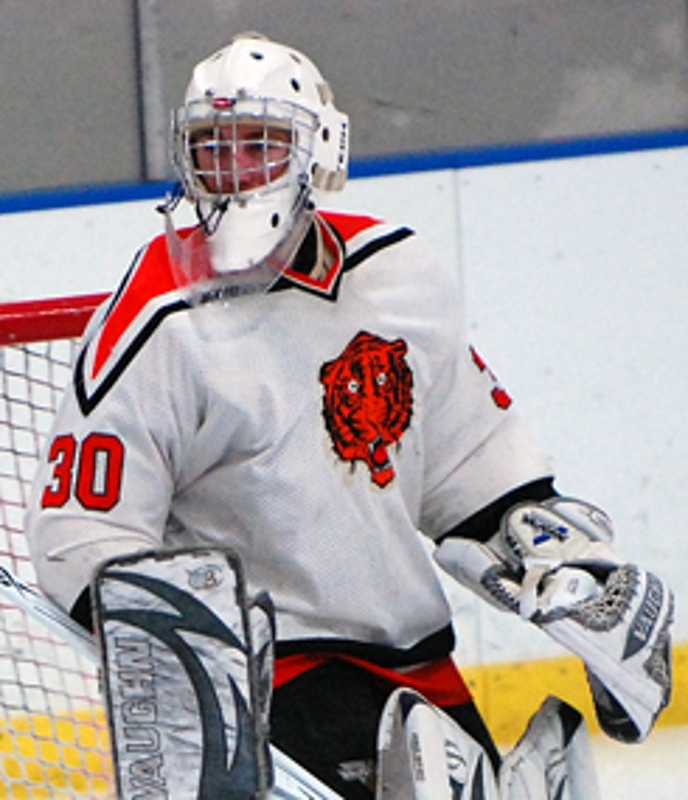 Delano/Rockford wore ancient jerseys resurrected from an arena storage shed, sported haircuts only mullet-topped ESPN hockey announcer Barry Melrose could love, tossed T-shirts into their raucous student section, got two goals from superstar Tyler Heinonen and came just seconds away from getting their senior goaltender, Jason Dzurik, his first shutout of the season. 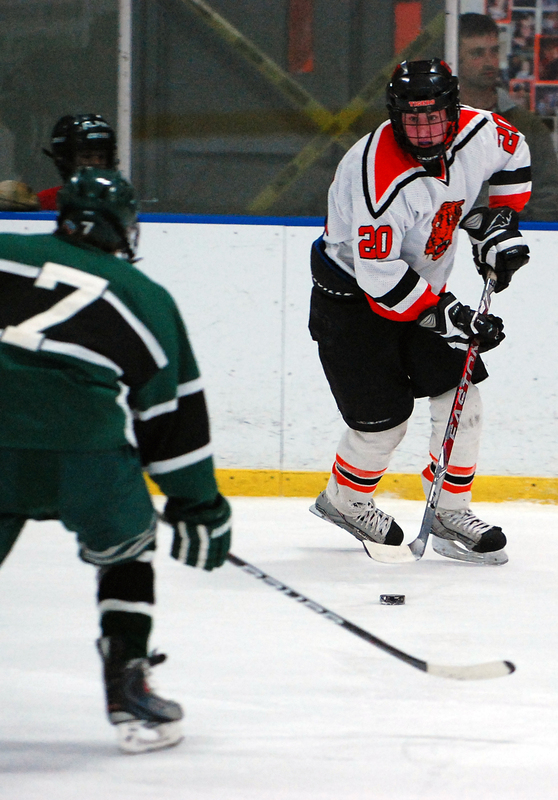 “We have a coach (assistant Gerrit van Bergen) who played here back in 1999,” Dzurik said. 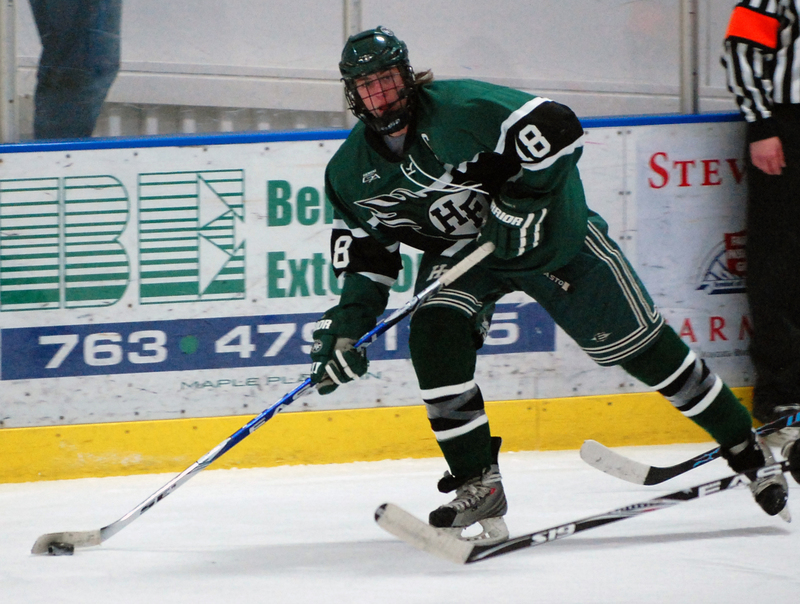 “Those were the jerseys he wore, and we thought we would do something special for Senior Night. 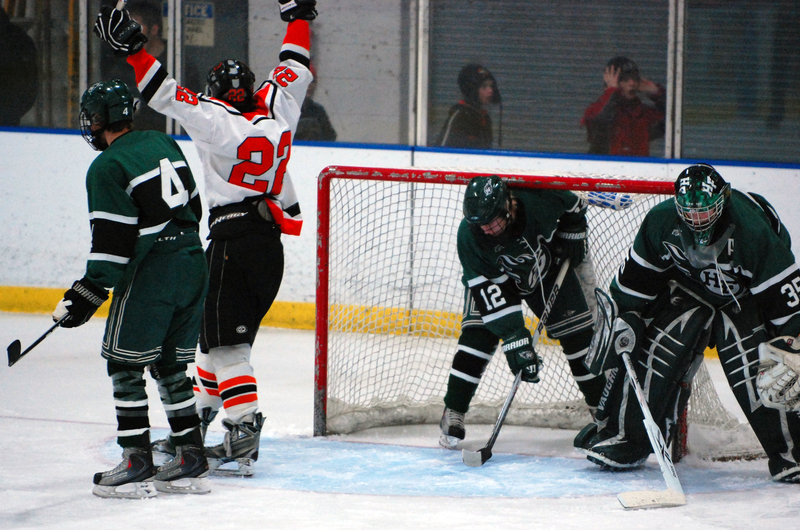 I think it got the team a little bit excited, too. 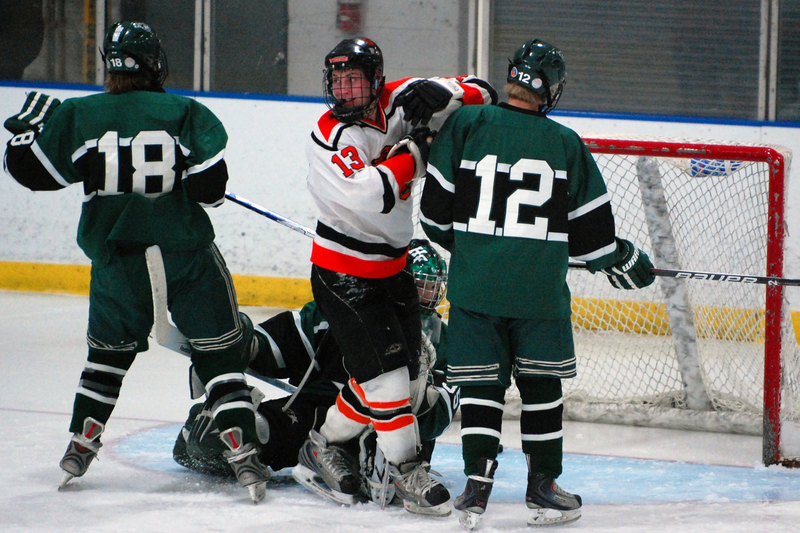 After a first period in which there were no goals or penalties, Delano/Rockford erupted for three unanswered goals in the second as it took control. Two of the Tigers' goals came on the power play. 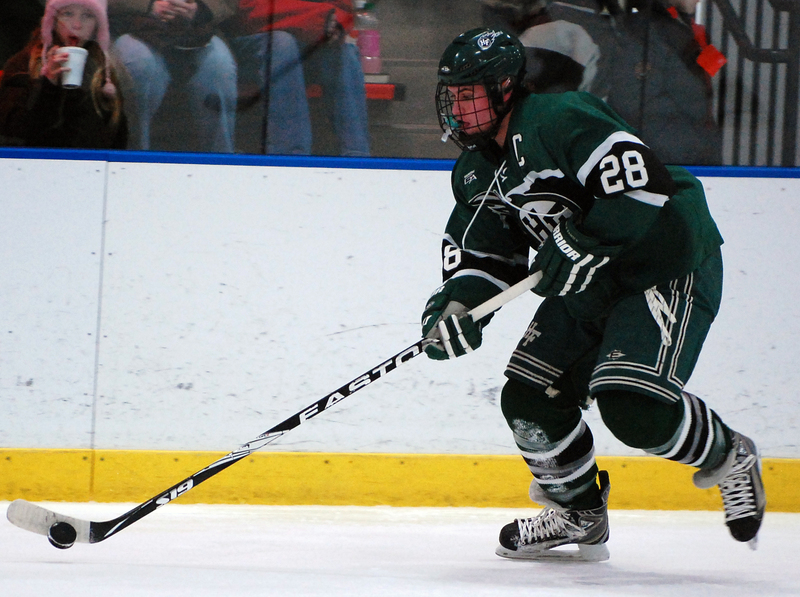 Heinonen scored two goals 77 seconds apart to give him 42 for the season. But the bigger story on this night was the Tigers’ fashion statement. 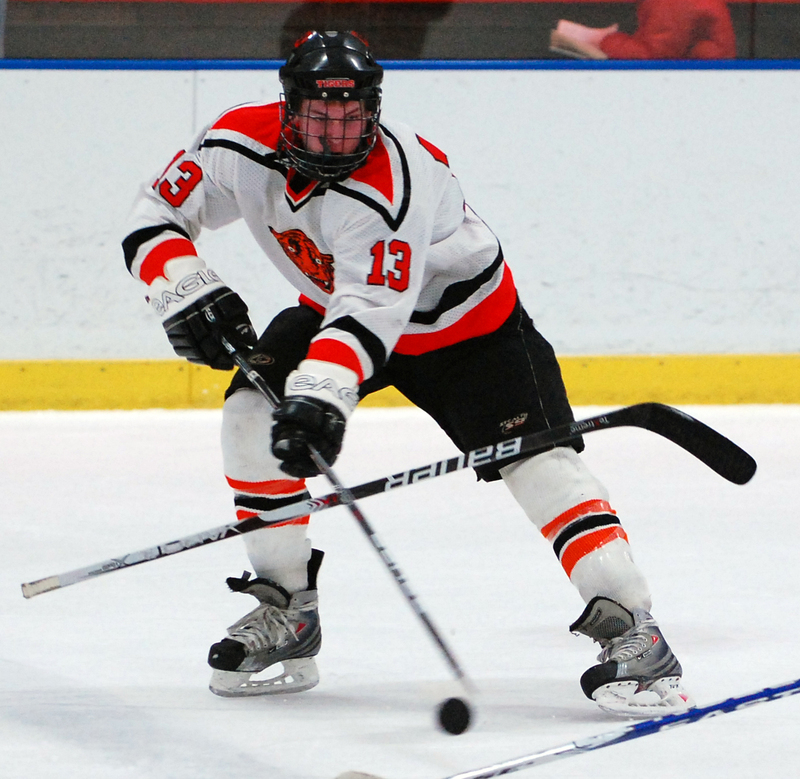 To phrase it kindly, those ancient orange, black and white jerseys Delano/Rockford’s players insisted on wearing probably were quite stylish a decade ago. 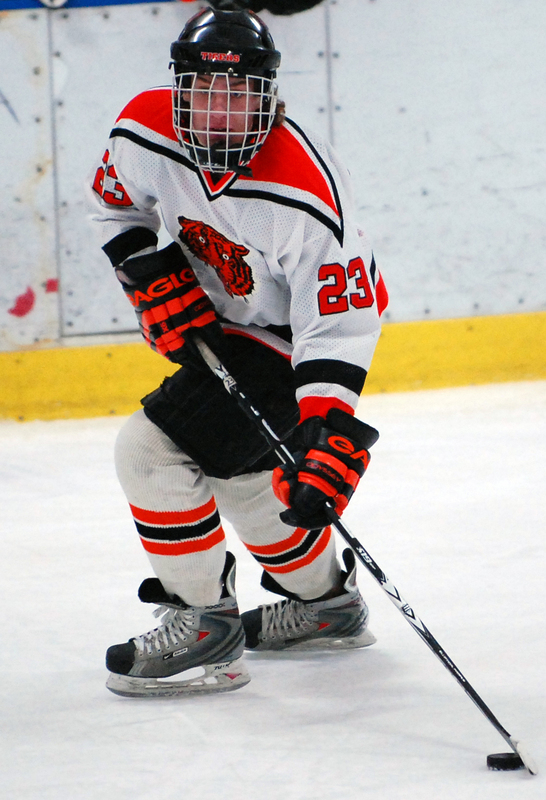 “We wore those jerseys when these guys were Squirts,” longtime Delano/Rockford coach Steve Brown said. “I bought them, and fashions have changed since then. Fashions even have changed in jerseys. They dug them out on Monday and asked if they could wear them. 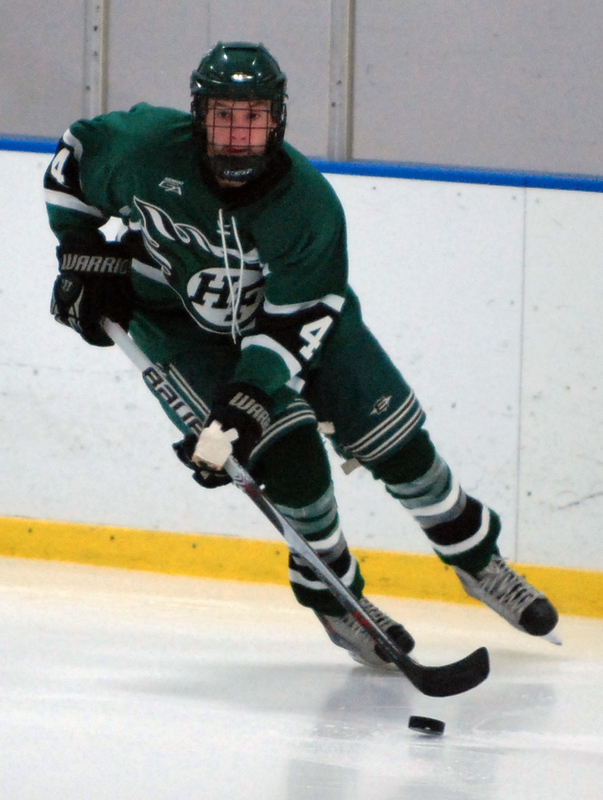 Heinonen, whose goal total is the third best in the state and is being recruited by Michigan Tech and Wisconsin, had his fun despite getting the superstar treatment from Holy Family Catholic. The Fire made it the assignment of one player on each of their lines to stick to the junior sharpshooter like so much Krazy Glue. 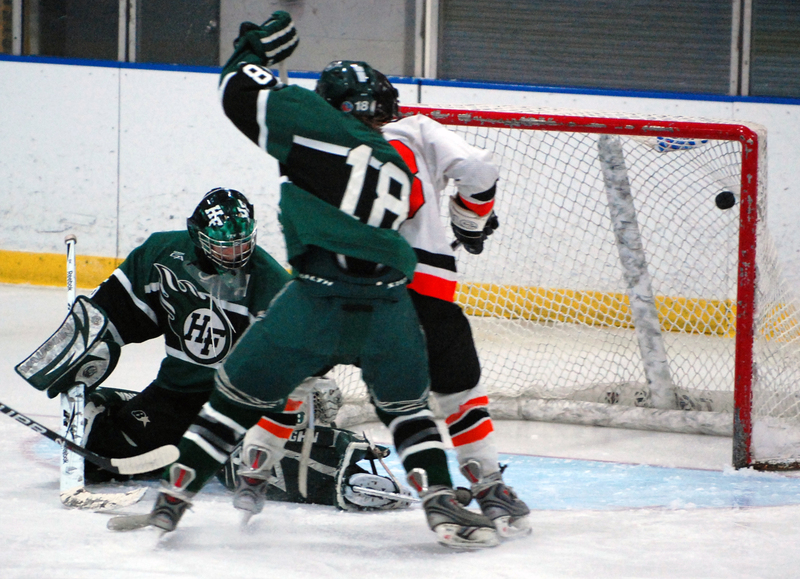 Heinonen swatted a loose puck in the crease high into the net for his first goal. 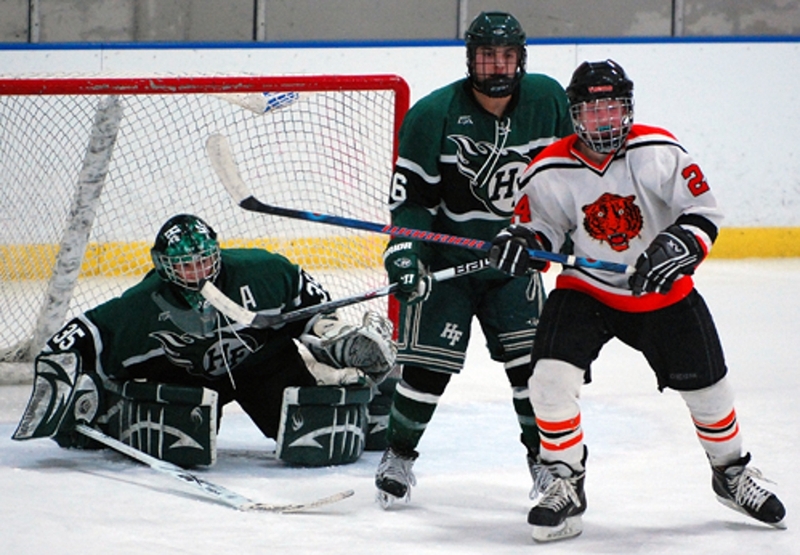 Then, with the Tigers (15-7-0 overall, 8-2-0 in conference) on a power play, he blasted a slapshot into an upper corner. 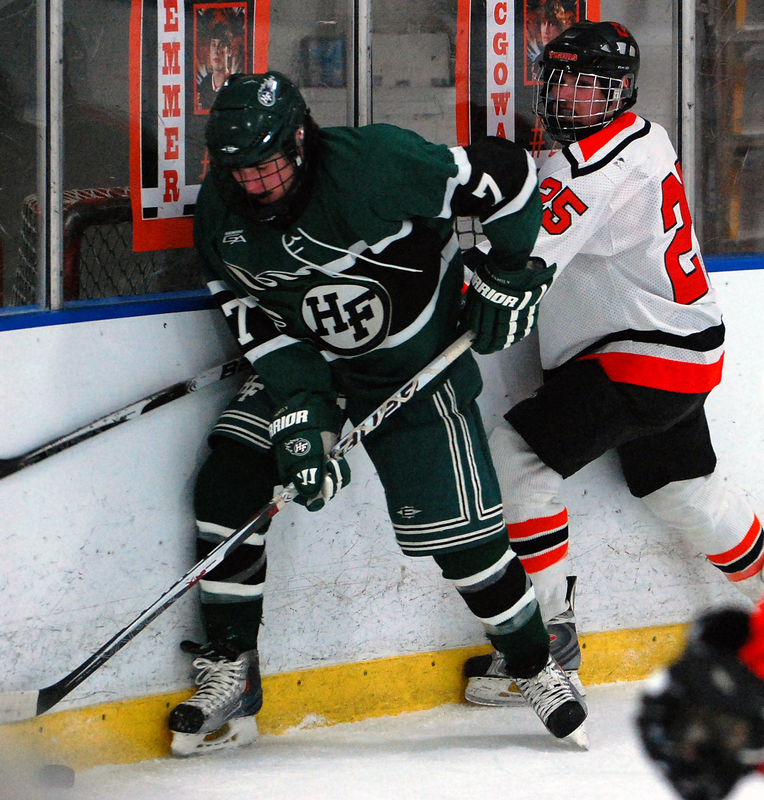 Holy Family Catholic (10-10-1, 3-6-1) took all three of the penalties called in the second period. 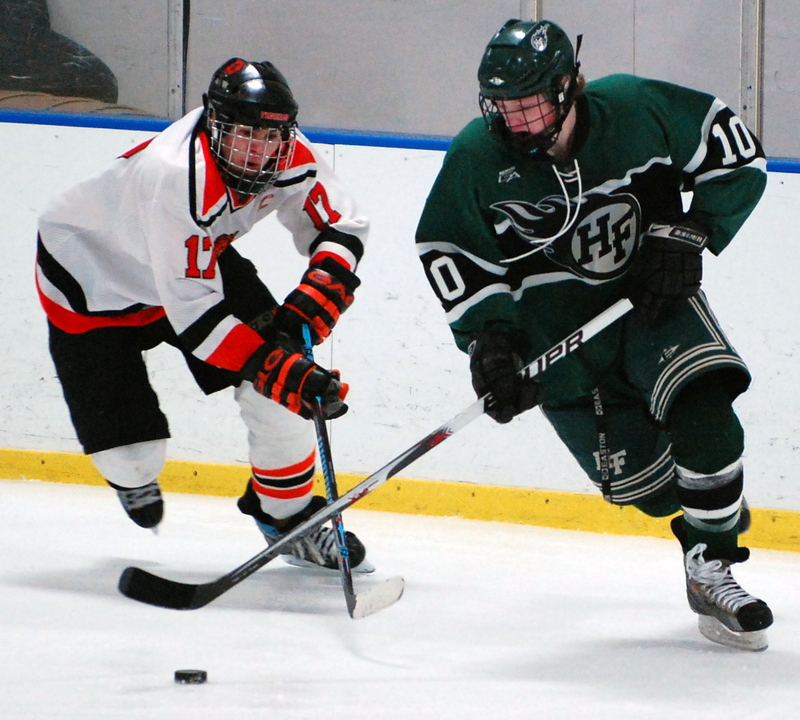 Heinonen, who during one four-game stretch this season had a four-goal game followed by three hat tricks, has been getting more and more “special” attention from opposing teams. No big deal, he says. 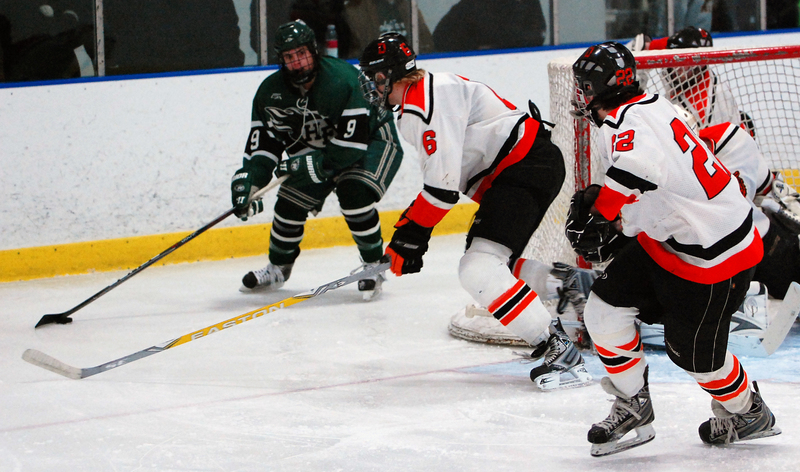 Delano/Rockford shares the conference lead with St. Cloud Cathedral with 16 points. 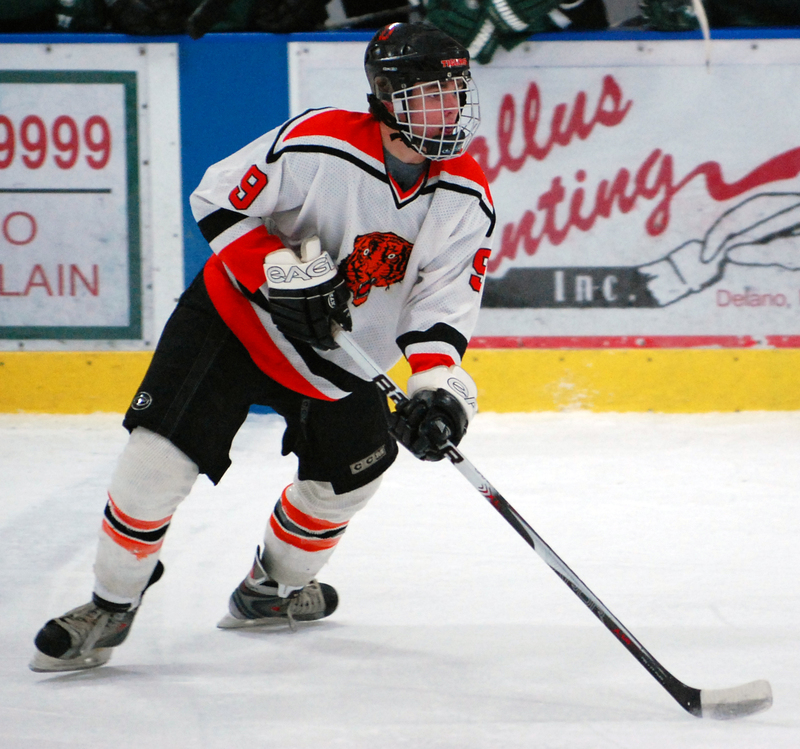 The Tigers can win the championship if they beat Cathedral and Mound-Westonka in their final two conference games. Win or lose, the Tigers will assuredly have a good time. 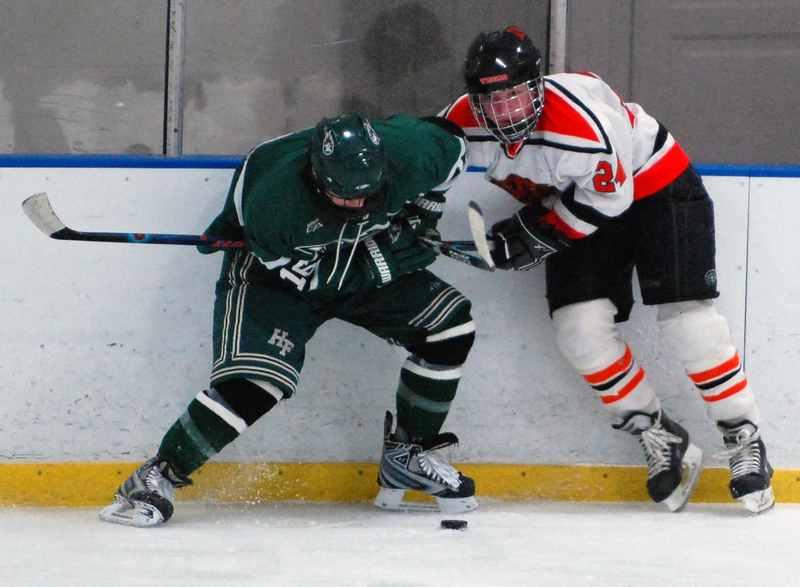 Junior forward put on quite a show, scoring twice in a 77-second span in the second period to bump his season goal total to 42. Heinonen also did some backchecking, set his linemates up with some great scoring chances and dished out a couple of board-rattling hits. 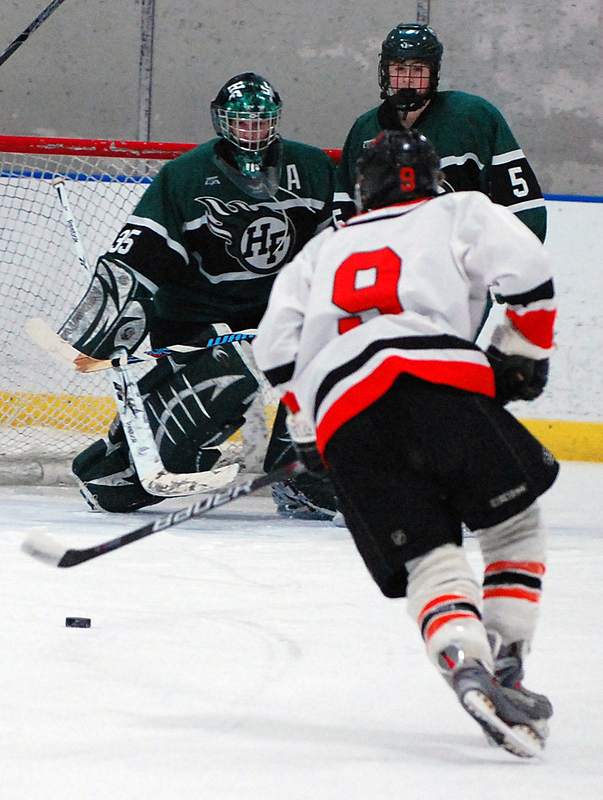 Senior goaltender (pictured below) stopped 38 shots and lost his shutout on a controversial goal with 73 seconds left. 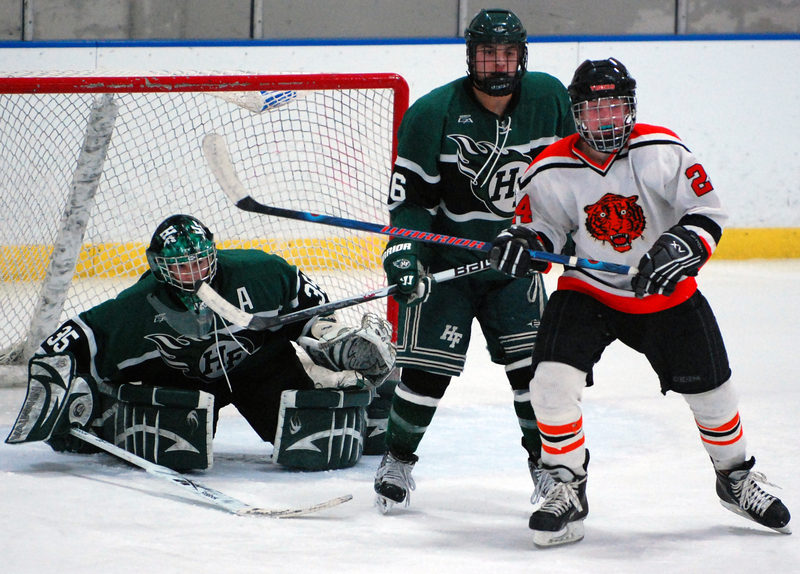 Holy Family Catholic's Sam Stenson scored when he batted the puck out of the air, and Tigers fans were convinced his stick was above waist high when he did so, or that he was in the crease or both. 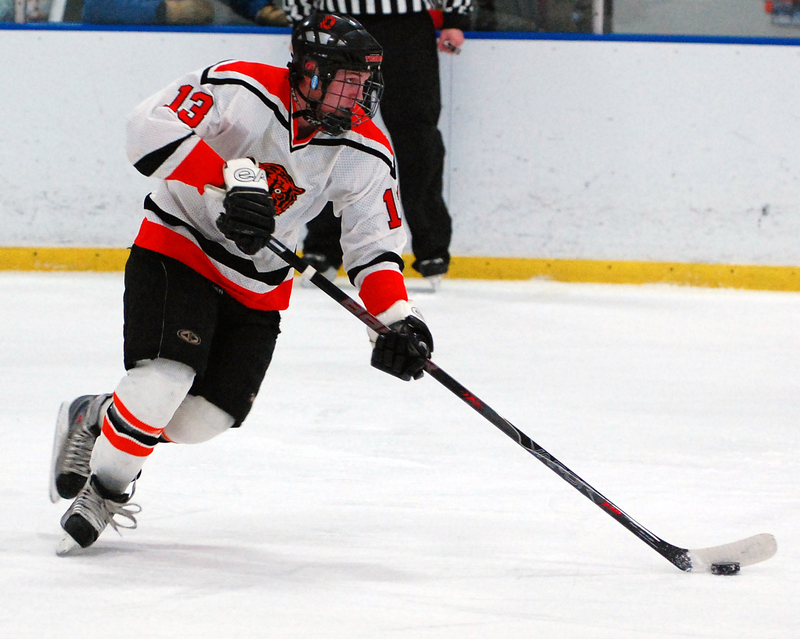 Junior defenseman was quick to the puck, made smart passes and showed that he has soft hands with several series of nifty stickhandling moves. Delano/Rockford players were recently digging through a storage shed inside their arena and stumbled across some "vintage" 1990s uniforms. The idea was hatched to bring them out of mothballs and actually wear them in a high school version of professional leagues' "throwback night." 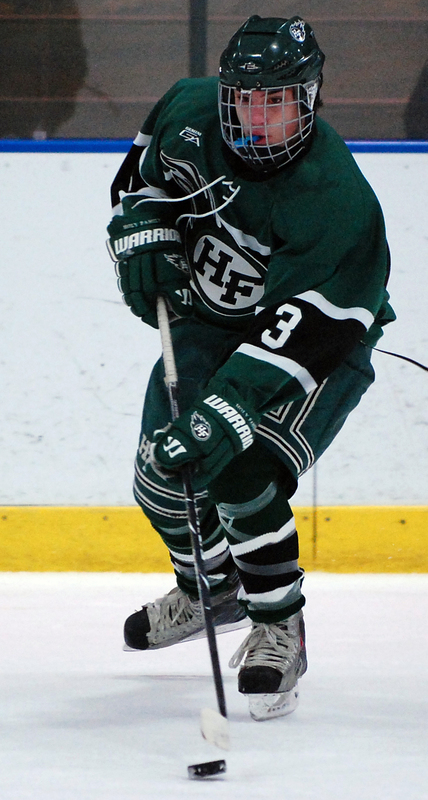 Of course, it was only a "half" throwback, given that Holy Family Catholic wore its current uniforms. The Tigers' seniors were honored before the game by having their names announced instead of the customary starting lineup. 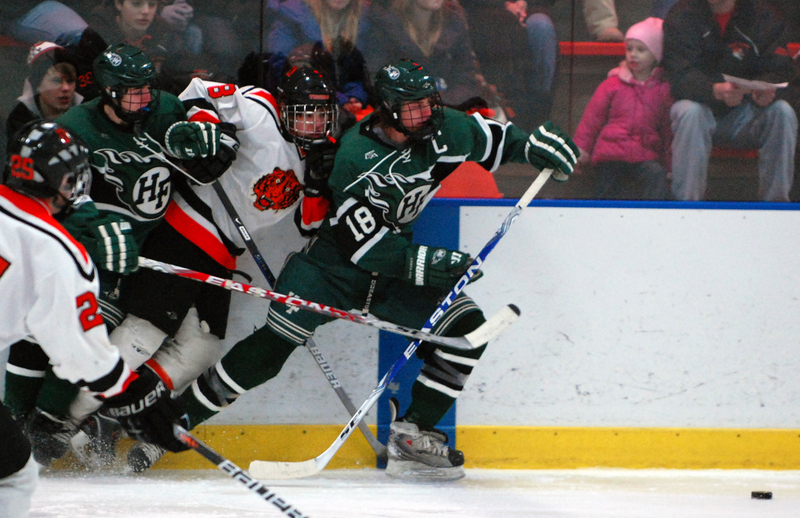 Each player then skated past the student section and tossed what appeared to be a rolled up T-shirt into the crowd. 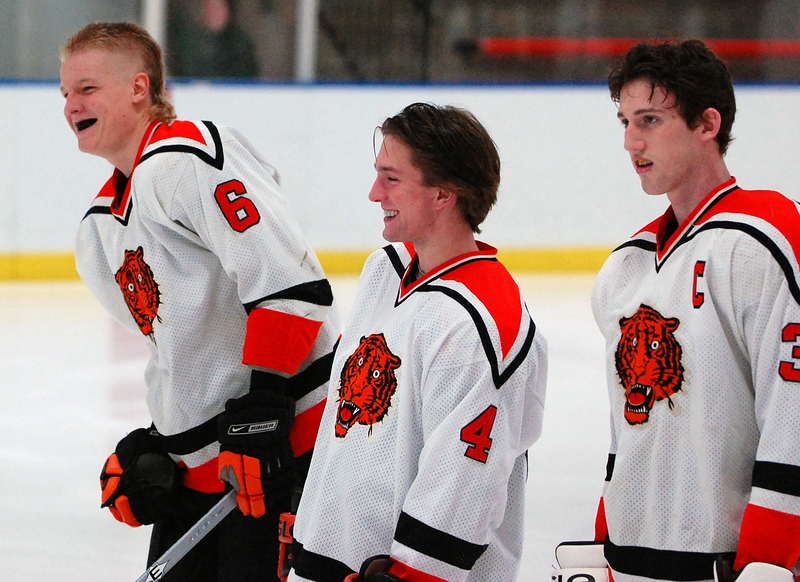 Several Delano/Rockford players were sporting haircuts reminiscent of those worn by the Hanson brothers in the classic hockey flick "Slapshot." The Tigers' hairdos could best be described as mullet-mohawk hybrids. Mullhawks? 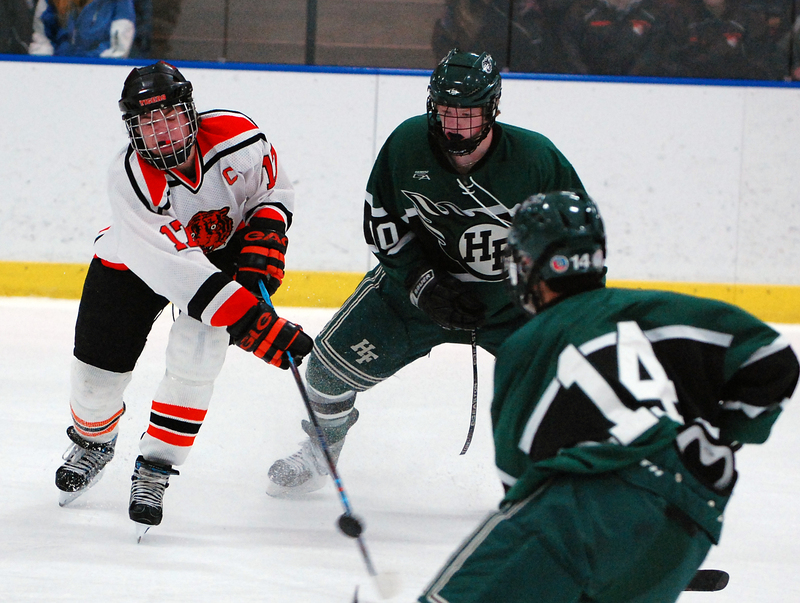 Delano/Rockford junior Tyler Heinonen, who drew a crowd of Holy Family Catholic defenders every time he touched the puck in the first period, was afforded some room to operate in the second period thanks to a series of Fire penalties. 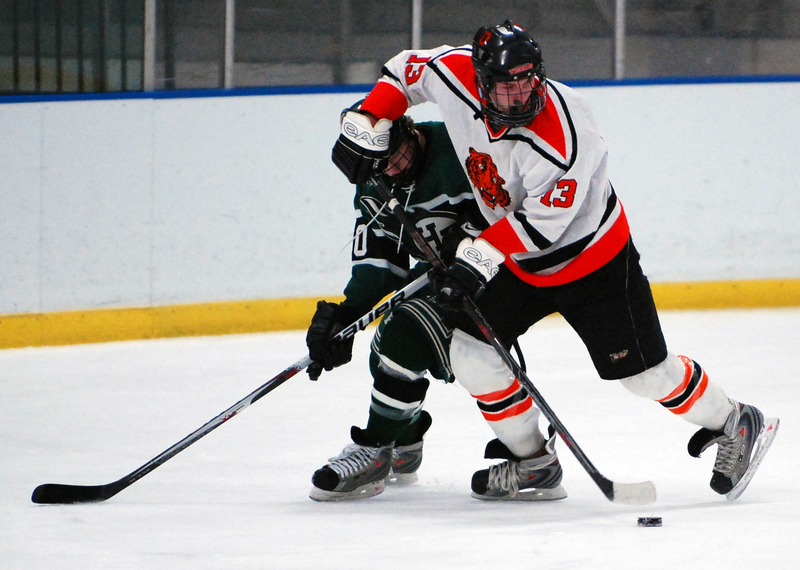 Heinonen scored his 41st and 42nd goals of the season (third best in the state) as the Tigers surged to a 3-0 lead after two periods. 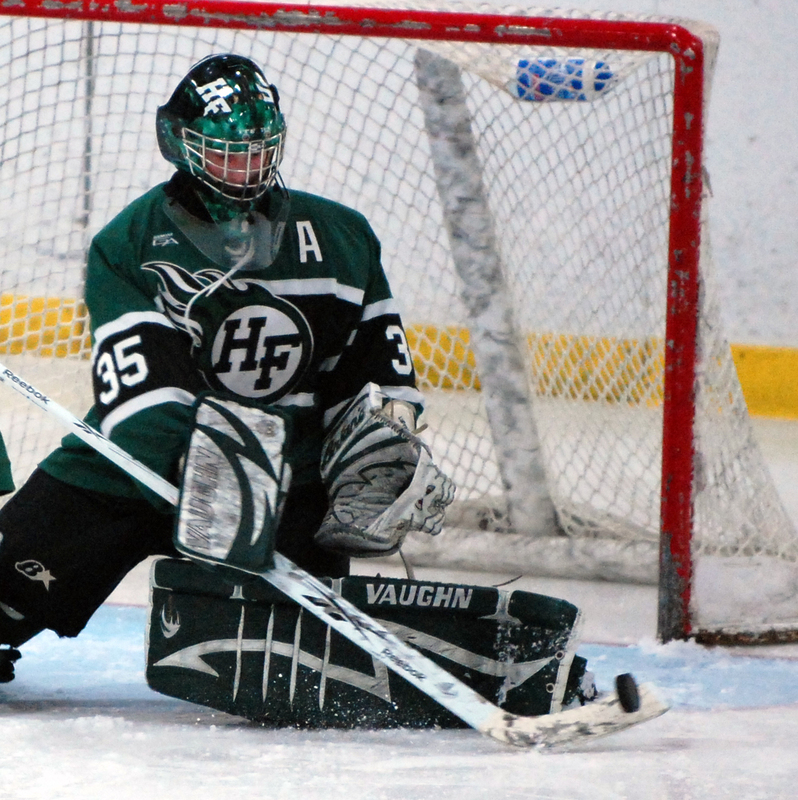 Heinonen is drawing interest from several Division I colleges, most notably Wisconsin and Michigan Tech.